Make several deep cuts into each lemon, place them in a jar with copious amounts of salt (2-3 tablespoons per lemon at least; more can’t hurt). Compress the lemons and add juice until the fruits are submerged. Store the jar in the refrigerator, inverting it every couple of days, for at least 4-6 weeks before use. The skin can be sliced thinly and added to salads or used to boost the depth of flavours in savoury sauces. 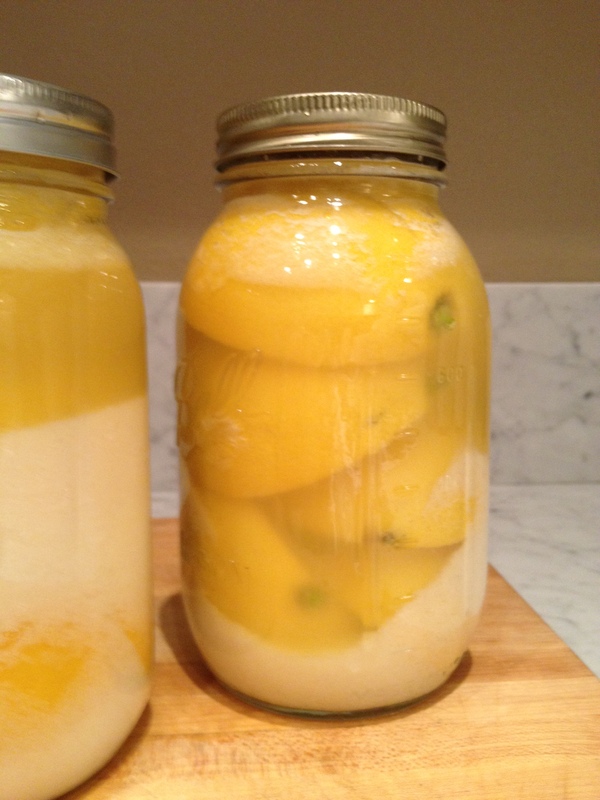 Preserved lemons in mason jars look as good as they taste.